Swift Water Rescue | Pioneer Rescue & Outfitters LLC. 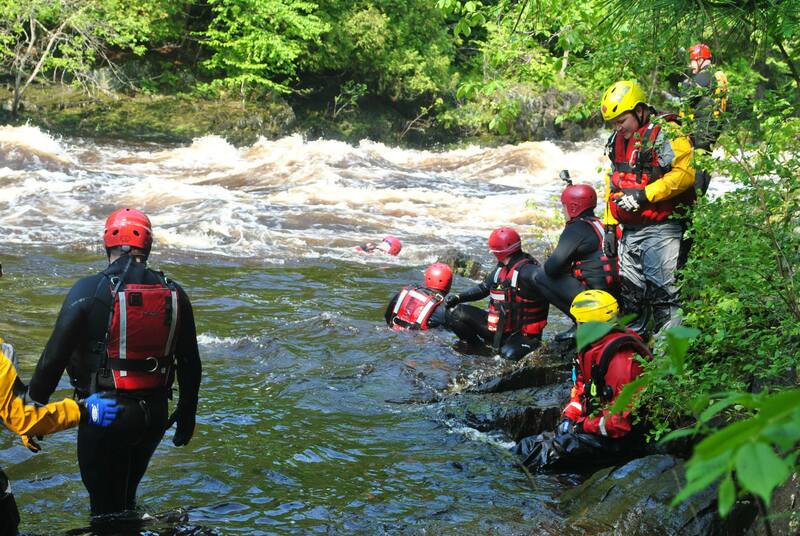 We offer 2 core flood and swiftwater courses – Operations & Technician. Our instructors tailor our courses to fit your needs and emphasize your jurisdiction’s focus areas. Click here to find out about our 2019 Open-Enrollment Swiftwater Technician Courses! We would love to have you join us! Looking for something entirely customized to your jurisdiction? We do that as well! We can, and have, customized hybrid classes for individual departments. Examples: Lake rescues & patient transfers to boats, low head dam operations, gorge or restricted access water rescue, etc. Contact us and let’s discuss your team’s unique training needs! River or flood rescues represent the second level of aquatic rescues which is a step above lake, a step below swiftwater, and considerably below whitewater. However, even that gentle stream that you can usually wade through can become a life-threatening force after a sudden downpour. To put things into perspective: Today, firefighters are 400% more likely to drown than to die in a fire. This class is designed to be “shore based” and “boat based”. We teach you the swimming skills you can use to save yourself if you end up in the water unexpectedly. Our two-day Awareness/Operations course covers shore based and tethered boat rescues. Our 16 hour class is NFPA compliant. Open enrollment dates Summer 2018 to be announced, or at your location. Use the Contact page to request more information. This physically demanding two day class builds on the skills learned in the operations level class. Successful completion of a 1000′ endurance swim is required. A practical skills test completes the 16 hour class at the end of the second day. Students are required to supply their own PPE.